Ben van Beurden delivers speech in Texas emphasising need for company to shift business towards a low carbon future, but stresses oil and gas demand will remain strong for years to come. 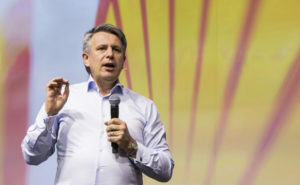 Addressing a crowd of energy executives in Texas yesterday, Shell CEO Ben van Beurden said he believes climate change is the “biggest” question facing the global oil and gas industry, admitting the oil giant will need to shift its business strategy to survive. Speaking at an energy conference in Houston, Van Beurden said the drive towards a lower carbon future was “inseparable” from the financial success of the company, emphasising the scale of change needed to meet the aims of the Paris Agreement presented an “opportunity” for the company. The world needs to hit net zero emissions by 2070, he said, setting out an interim milestone of society having to roughly halve the amount of emissions produced for each unit of energy used by 2050. Shell’s net carbon footprint aims to keep step with society’s progress towards the Paris Agreement, he explained, and the company would therefore be “reviewing and reporting on our progress every five years”. It follows the Anglo-Dutch company’s pledge late last year to halve the carbon footprint of the energy it sells by 2050 while investing $1-2bn each year in renewables and electric vehicles (EVs) between 2018 and 2020. The announcement came in response to increasing shareholder pressure to address the risks to its business posed by climate change and the low carbon transition – another shareholder resolution has been tabled for its forthcoming AGM in April aimed at stepping up Shell’s climate ambition. Van Beurden’s comments coincided with new research from Carbon Tracker which concluded that more than $1.6tr of capital globally is at risk of going to waste if energy firms plan future projects in line with current climate policies already announced by the government, instead of preparing for a scenarios in which governments step up their ambition to avert dangerous climate change. However, Van Beurden stressed yesterday that oil and gas would “continue to be core to Shell for many decades”, adding that shale gas – as well as low carbon ‘new energies’ – are significant growth areas for the company in the coming decades. Meeting the company’s climate ambitions could mean switching Shell’s product mix of oil and natural gas from 50 per cent gas to 75 per cent, he said, a move that could mean selling the energy from 200 large offshore wind farms or selling 50 billion litres of biofuel a year. 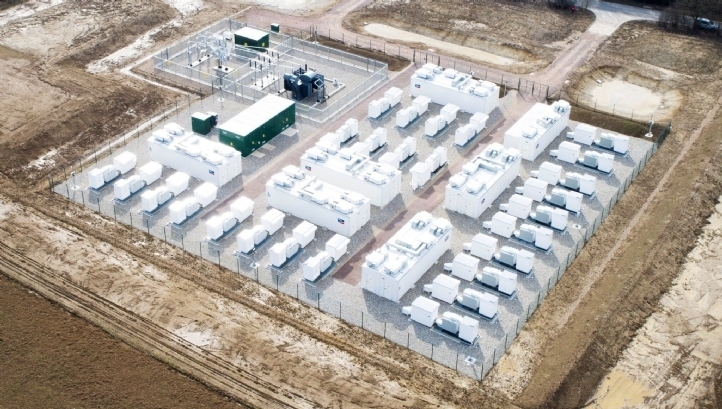 In recent months Shell has been ramping up its investment activity in new energy sources, including a suprise bid to buy UK energy supplier First Utility and moving to incorporate EV charging on garage forecourts. Elsewhere, the oil chief said the industry as a whole needed to build trust with customers and society, conceding that it had “let this point slip”. That means, he explained, “dealing with the challenges that drag our reputation down”. As Shell faces shareholders at its AGM next month, Van Beurden is clearly seeking to allay the fears of its growing chorus of climate-concerned investors. However, while its green ambitions appear to be growing, as ever the devil will be in the detail.